Since the majority of our work with clients is done via phone and email, clear verbal and written communication is key to our business. We need to clearly understand what our clients’ needs are and clearly explain to those clients what we recommend. Sometimes it is fairly simple. The client knows exactly what he or she wants in a drape: fabric name, drapery style, fullness, etc. Other times, however, the client may just have an idea of a look but isn’t sure how to best describe the look. It’s our job to help the client describe their design and what they are trying to achieve in the design with the drapery. 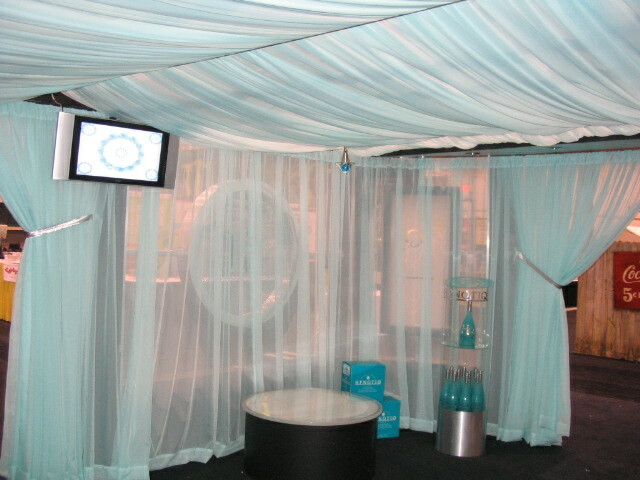 One of the factors to consider is how opacity affects the customer’s design and drapery needs. 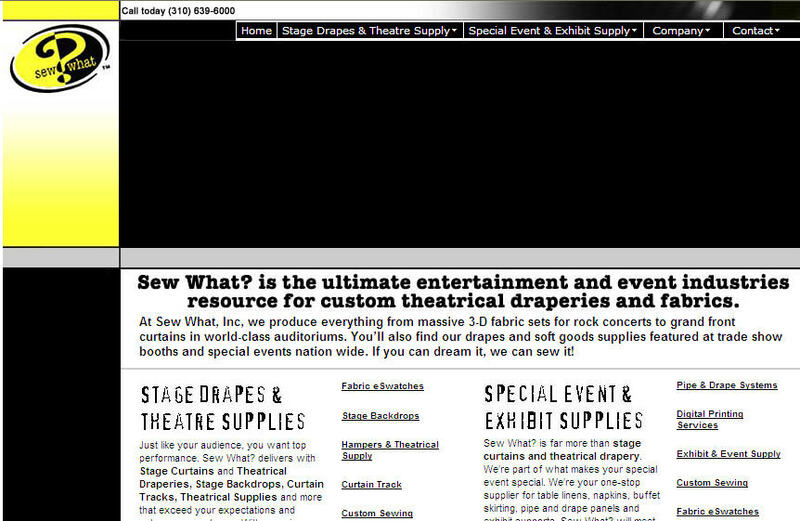 Is the client looking for masking drapery and therefore needs the drape to be a solid black “non-see-through” fabric? If so, do they need complete light blockage (or “blackout”) drapery, or do they just want to ensure that any objects behind the drape can’t be seen? When the customer asks for a “transparent” or “translucent” fabric, what is the customer trying to achieve in the design? Does the design call for something floaty and “see-through” or does it call for back-lighting, rear-projection, or a silhouette effect? Depending on the answers to these questions, either a “transparent” or a “translucent” fabric may be recommended (as the two terms are not synonymous). Voile is an example of a transparent fabric, through which objects can be clearly seen (as above). 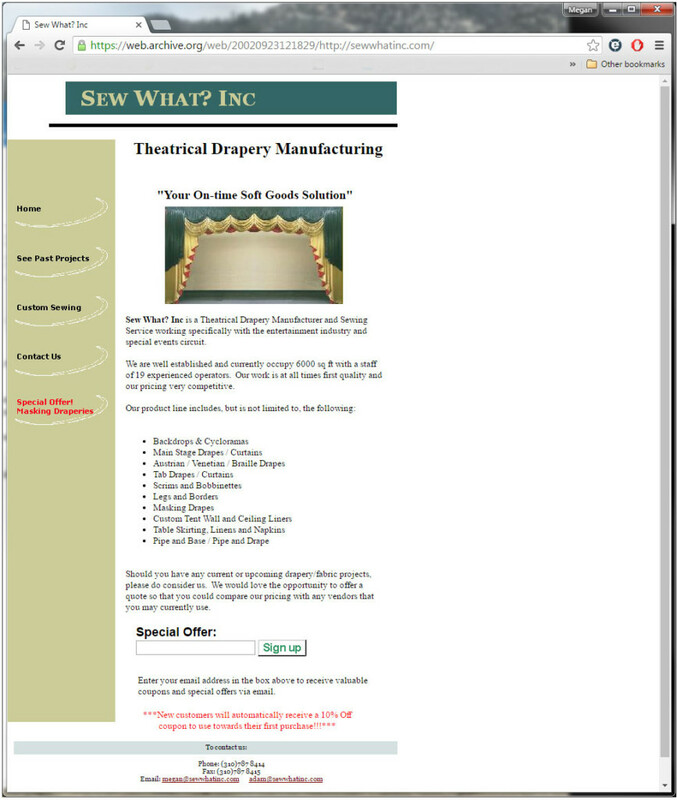 As we discuss the issue of drapery opacity, we sometimes find that a client is unclear about the difference between the terms “opaque,” “transparent,” and “translucent.” Of course, we do explain these terms directly to the client, but we have also found it helpful to our customers to send them a link to our white paper “Opaque, Transparent, or Translucent? 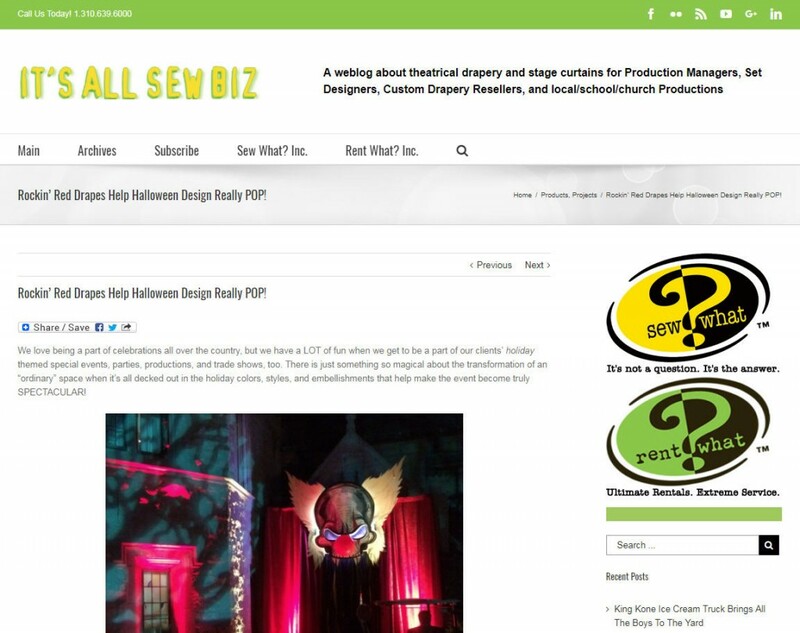 Tips for Making the Best Fabric Choice for Stage Draperies.” Not only does the white paper explain the different terms in regards to how they relate to stage drapery fabrics, but it also lists common opaque, transparent, and translucent fabric choices. Want to learn more about this fabric opacity? Click here to download a pdf copy of the white paper. 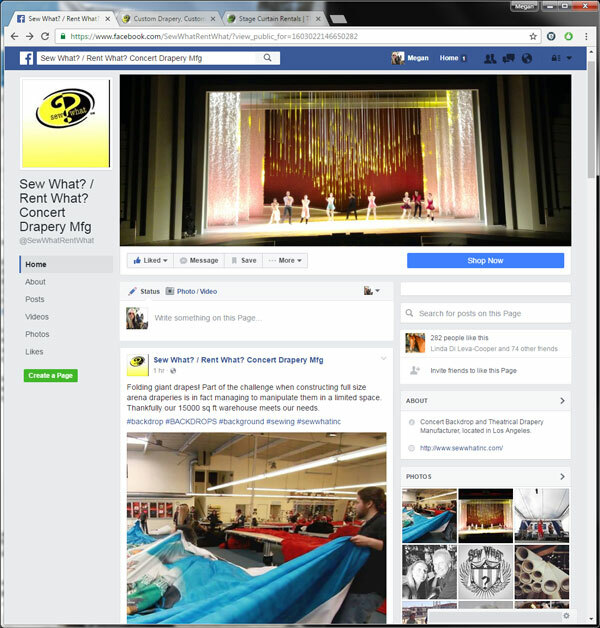 Getting to be a part of some of the biggest awards shows, televised national sporting events, international concert tours, and most extravagant stage productions is a thrill, and an honor, that we do not take lightly. We absolutely love being able to help “set the stage” for special events of all kinds and sizes. 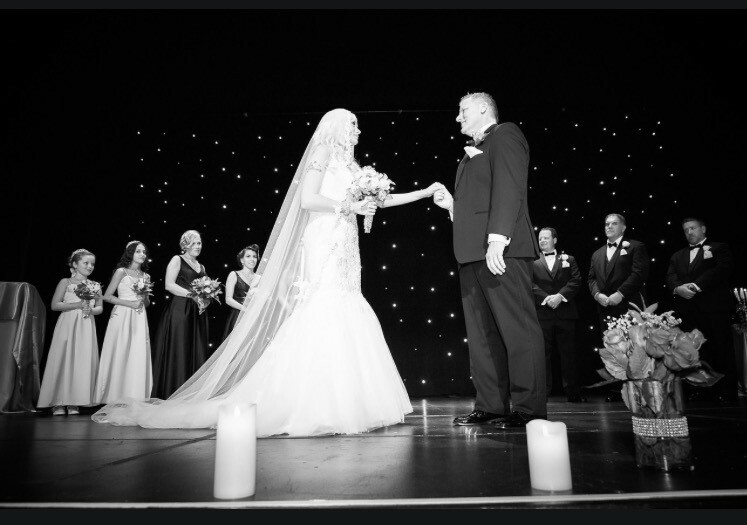 That’s why it is especially humbling and gratifying for us to also be trusted to help provide theatrical soft goods for one of the most memorable, important events in a young couple’s life together—their wedding day! Recently we provided some stunning rental stage drapes for a wonderful young couple, David and Seraphim Afflick, on their spectacular “La La Land”-themed wedding ceremony and reception at the area’s very popular Capitol Center for the Arts in Concord, New Hampshire. 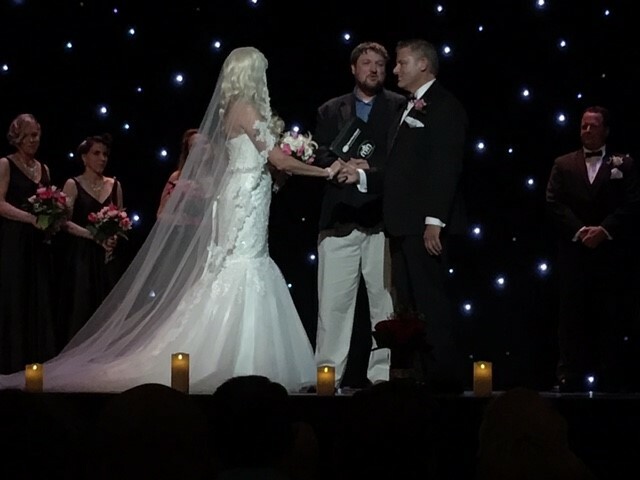 Wanting to have something dazzling to help give just the right “Grand Hollywood Night” feel to their ceremony, they chose one of our Classic Stardrop LED drapes to adorn their ceremony stage. This gorgeous 15’x30’ (can be hung either way) drape is easy to hang and operate, and the end results are always completely captivating. 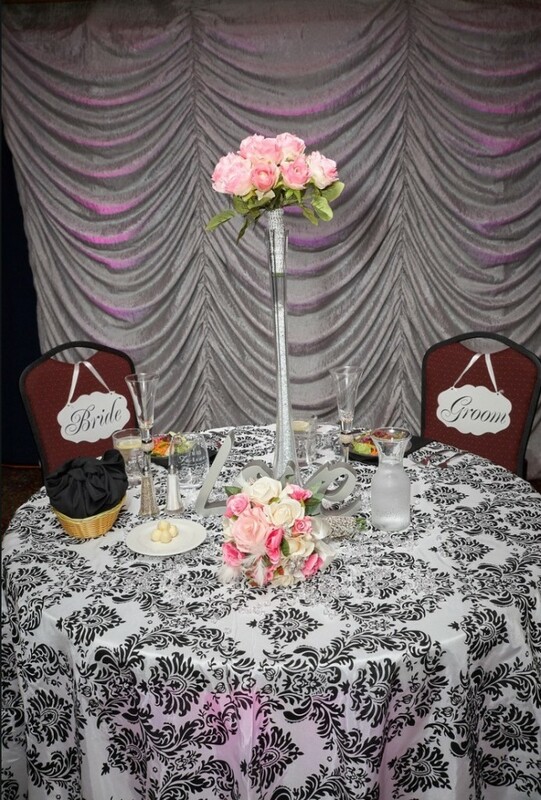 Then for their reception this uniquely stylish couple wanted an elegant drape to hang behind their “sweetheart table” that would help give them a polished background for all of the stunning photos that would be taken during the night by their amazing photographer Odi Jin. They ended up choosing one of our luxurious and versatile rental Silver Textura (non-operable) Austrian Zip-Wall curtains. These drapes are a lighting designer’s dream come true—making them the perfect backdrop for all kinds of special event and stage designs. We were so pleased to be a part of the unforgettable wedding day of such a creative and fun-loving couple, and we wish a lot of happiness for David and Seraphim throughout the rest of their lives together, too. It’s amazing to realize that 2017 marks 15 years since Sew What? Inc. debuted online! In honor of this milestone, I thought I’d go back in time and introduce our readers to the evolution of the company’s online presence. It was 2002. Sew What? Inc. was still relatively small, housed in a 6,000 square foot leased space. When a potential client told Megan that the company needed a website, she jumped on the task. Despite no experience in building a website, Megan leapt into action, building the company’s first website in a single weekend using Publisher and clip art. Over the next few years, Megan continued to improve the website on her own. Then, in 2005, the company entered a period of tremendous growth. In addition to moving into a purchased 15,000 square foot warehouse and hiring a variety of sales and support staff, the company had also retained the services of a marketing agency to revamp the company’s branding and related marketing efforts. Enter a new professional website. With the creation of Rent What? 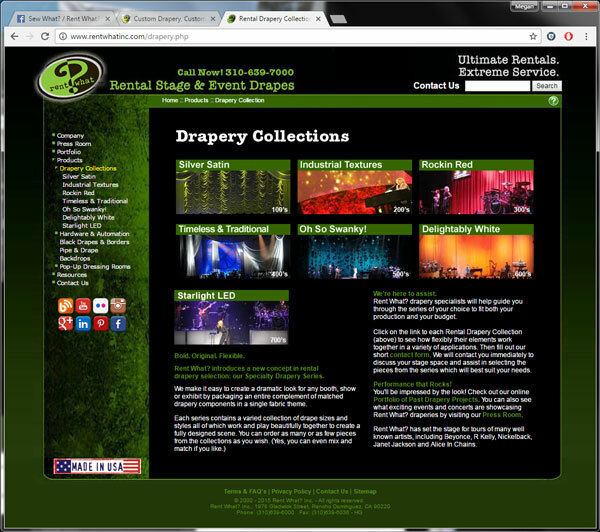 Inc. in 2008 came the need for a marketing strategy for the new company, including branding and a website. 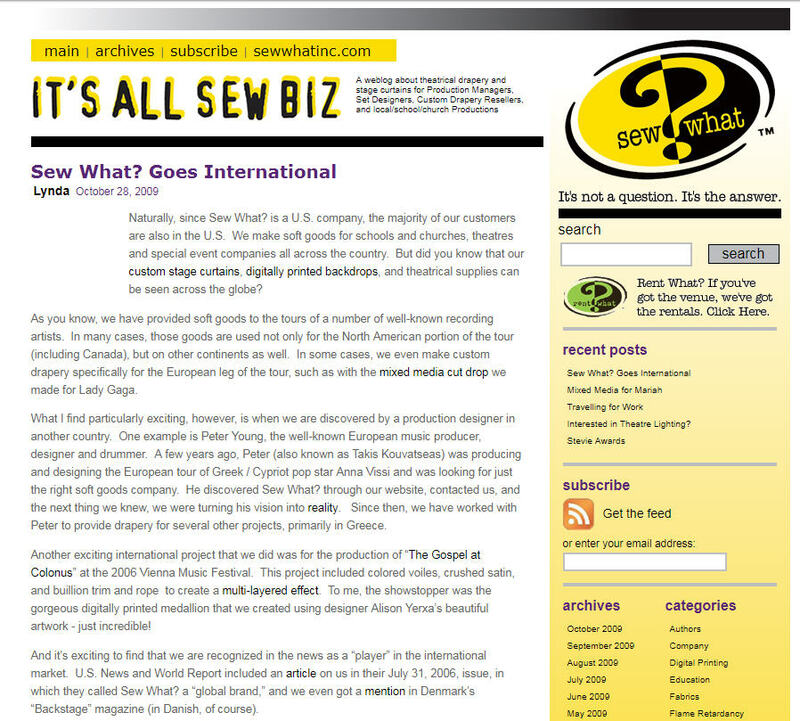 As a standalone companion company to Sew What?, the new company needed its own identity. What better way than with a website? As much as we loved the websites, we wanted a quicker, more immediate way to reach out to our customers. To educate them, to inspire them. From that desire emerged this blog in 2009. By 2015, it was becoming clear that more and more people were accessing the web via mobile devices rather than computers. It was also clear that our websites and blog were not as “mobile-friendly” as we would like, and so a strategy was developed for a major redesign. This blog was the first to get a mobile-friendly makeover. Finally, in 2016, the newly designed mobile-friendly website went online. Initially, though much of the content remained the same, the website’s new design allowed us to reach out to mobile web users more effectively. By 2017, we began the process of adding more Rent What? 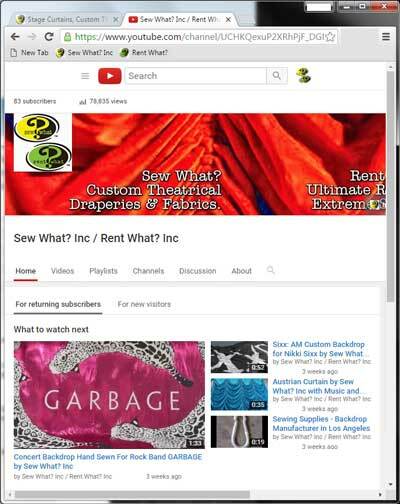 content to the Sew What? 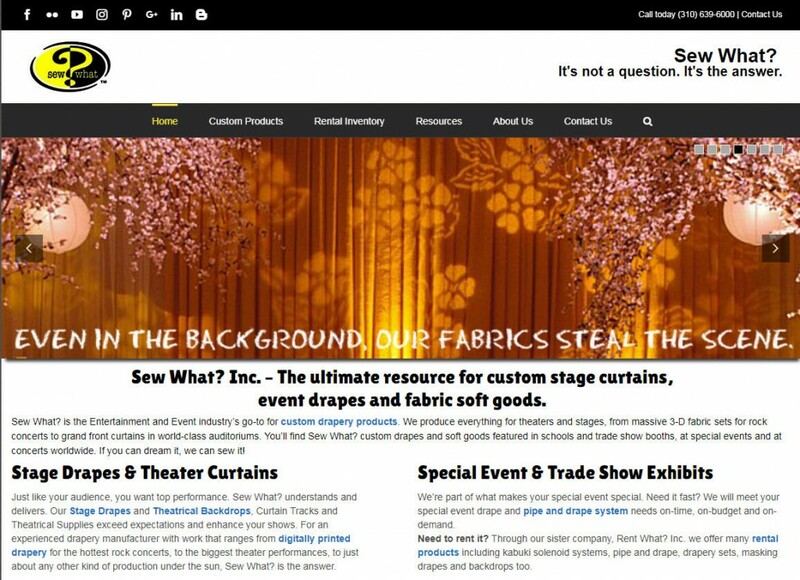 website, allowing visitors to get all the information they needed on everything we offer – from custom stage curtains and rental stage drapes to purchased curtain track and rental solenoid systems – on a single portal. Flickr. YouTube. Instagram. Pinterest. Facebook. Google+. Linked In. Oh My! Over the years, we have expanded our online presence beyond our own website and blog to a variety of sharing and social media sites. Now, we can connect with others through a wide range of online resources. 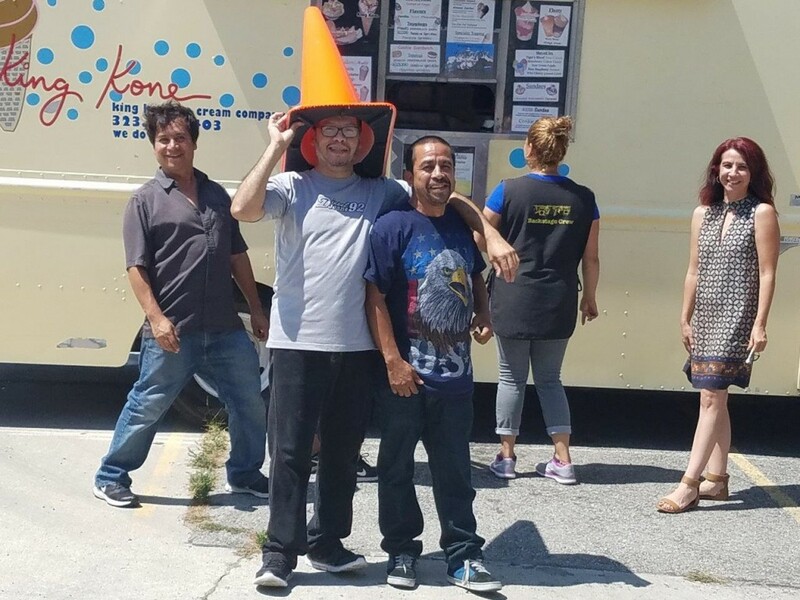 We had the amazing King Kone Ice Cream Truck come to our warehouse and give everyone the most sinfully delicious, refreshing, decadent ice cream treats ever imagined, and—if you know anything about how much we all love our sweets around here—it went down like gangbusters! 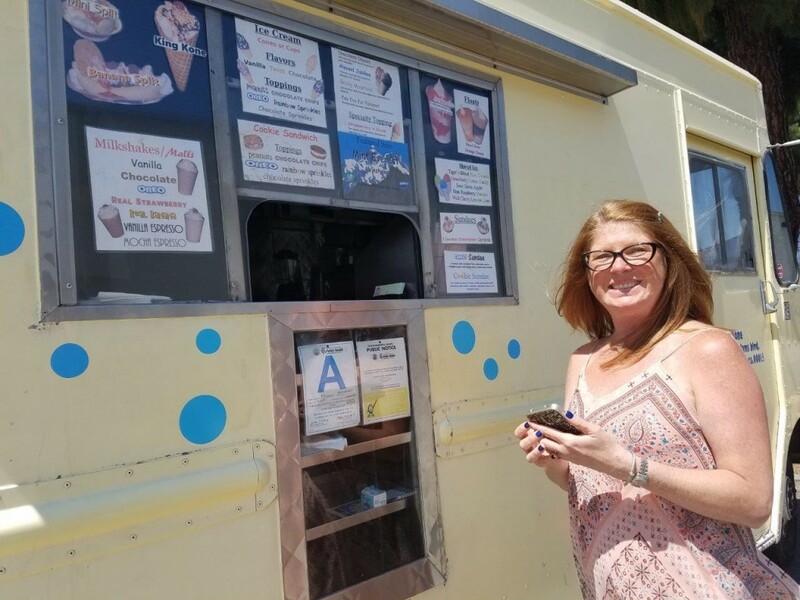 With custom-made options like ice cream sundaes, banana splits, chocolate malts, ice cream cookie sandwiches, root beer floats, Hawaiian shaved ice, and everything in between, there was an incredible option for every single kind of craving and preference. The sweeter and gooier, and more covered with sprinkles and nuts, the better! 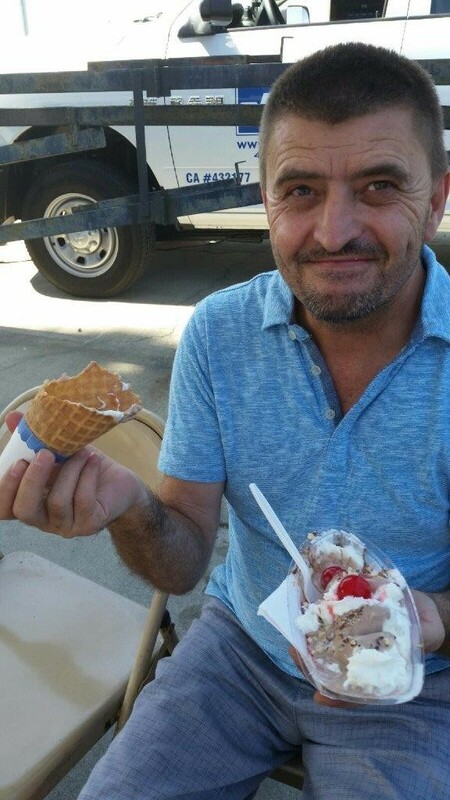 Getting out of the office for little while, sharing some laughs with our colleagues and our lovely neighbors Aaron and the gang from Lowy Enterprises, and of course, having some delectable yumminess in the middle of the day is definitely something we absolutely love to do, and it really helps keep us all charged and energized! 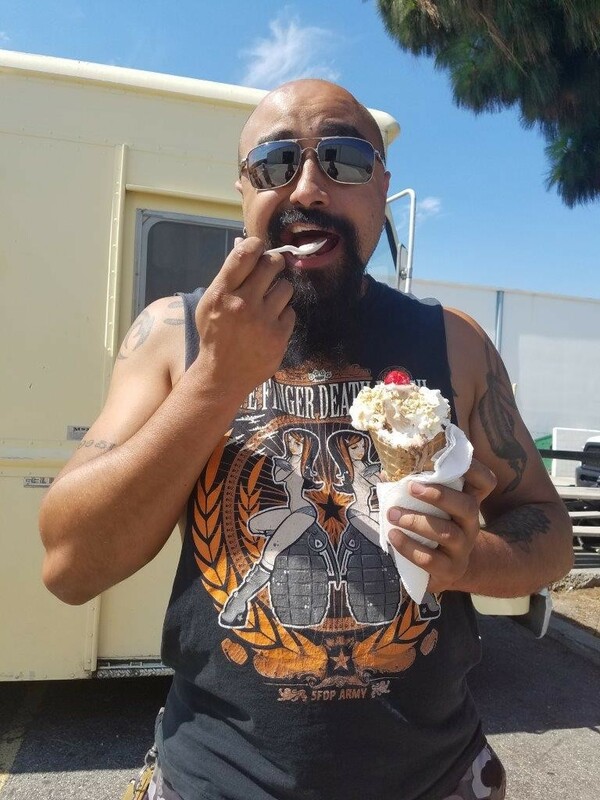 We are definitely planning to have an annual King Kone Day every summer from now on, as sometimes it takes a little extra “sweetness” to help keep the troops pumped and excited in this crazy madcap world of theatrical stage draperies and soft goods!